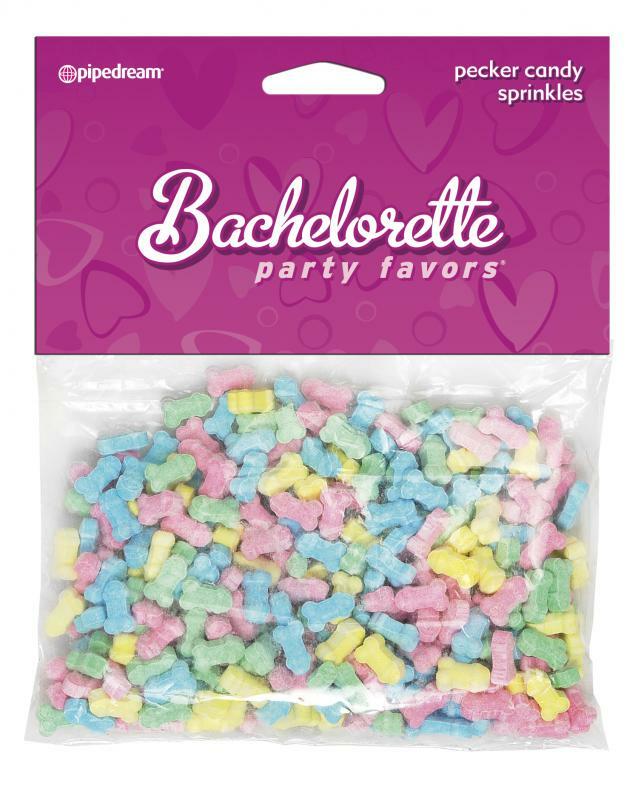 Bachelorette Party Favors Pecker Sprinkles. 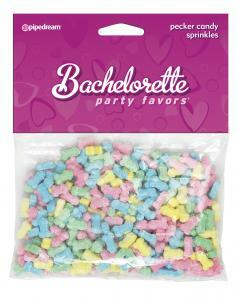 Make the girls last night out an unforgettable one with these hilarious Bachelorette party favors. We design, create, and innovate the best novelties and party gifts in the world. Our pledge is simple: We guarantee to make them laugh! It's not a party without Pipedream Products! MaterialsHard Candy. Package Depth 5.5 inches. Package Width 4.5 inches. Package Height 0.5 inch. Packaged Weight 2.25 ounces. Package Type Poly Bag Header Card. Country of origin China. Pipedream Products Catalog featured in 2012 Bachelorette Party page 16.